The summer of 1992 I had the good fortune to take a course where I learned about the Primary Language Record. A marvelous teacher, Olivia O’Sullivan, presented this program. Olivia’s common sense and enthusiasm had me all pumped up to go into my kindergarten class in September, ready to implement this marvelous method of observing and assessing children in the school environment. When I started using the PLR in my kindergarten class, I particularly loved beginning with interviews that valued the voices of parents and children. This assessment program was developed by experienced teachers (Olivia included at the Centre for Learning in Primary Education, based in London, England. Unfortunately just as data, data, data has become the focus and goal of assessment in the US, the same seems to be happening abroad. Olivia and her colleague Sue Ellis, not comfortable with the changing priorities at the organization, are no longer working for the CLPE. That, however, has not put a stop to their advocacy for early learning. 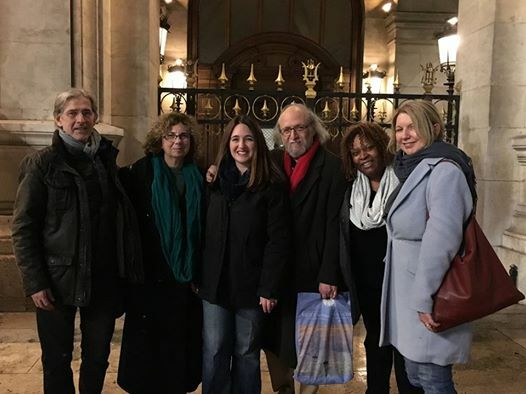 Two weeks ago I met up with Olivia in Paris where we both went to see my daughter, Simone Dinnerstein, perform the Goldberg Variations for the Paris Opera Ballet. Olivia told me about her passion for drawing and art classes, her involvement with the Save Lewisham Hospital Campaign where her husband, Dr. Tony O’Sullivan, is head of services for children and about an ambitious new website that she, Sue Ellis and Sue McGonigle have developed. It has the enchanting name, Love My Books and there’s lots of information about it at www.lovemybooks.co.uk. 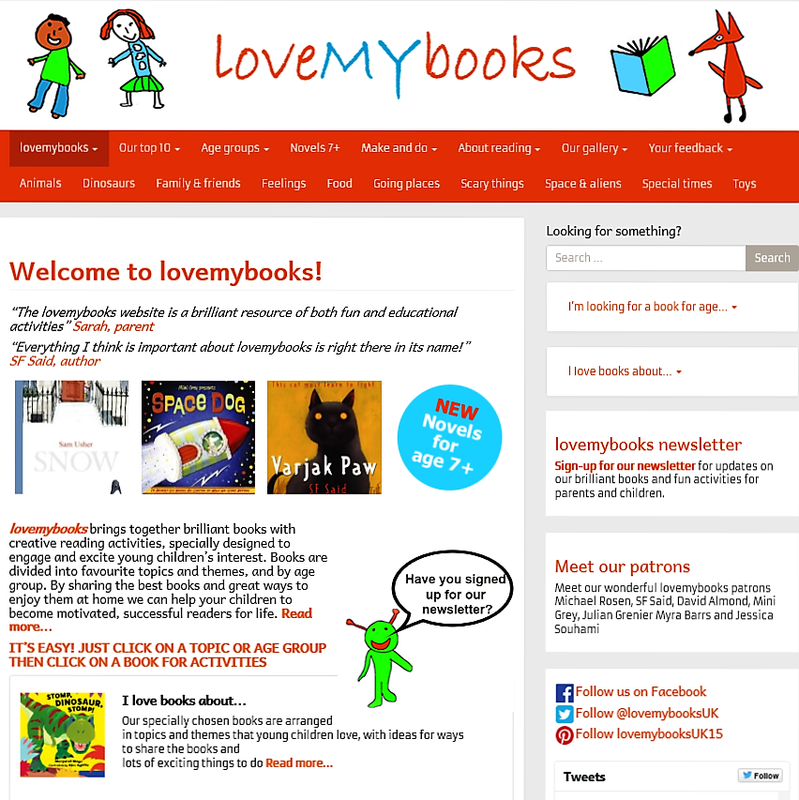 The blurb on their card says “This FREE and FUN website brings together brilliant books with creative activities to share and excite young children about reading. They share ideas to encourage families to read together, list favorite books, and include helpful videos and websites. I’m really excited about this website. I hope you feel the same way and that you will share it with colleagues and with anyone who cares for and interacts with young children. This entry was posted in Investigating Choice Time: Inquiry, Exploration, and Play on February 20, 2016 by Renee.